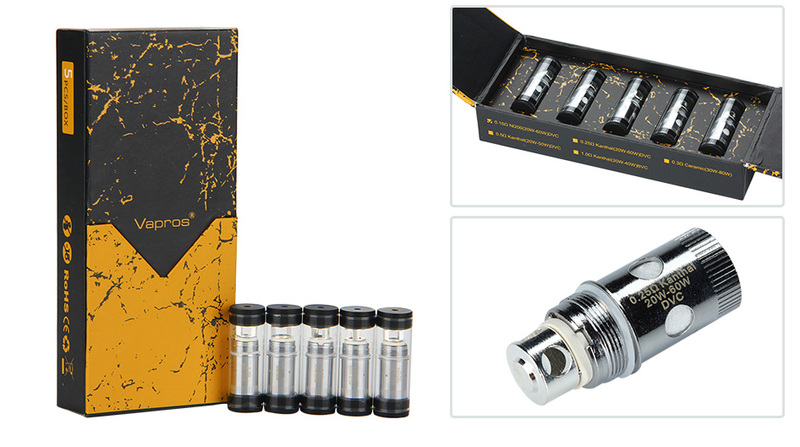 Vapros KinTa atomizer. 4 resistances available: 0.15ohm, 0.25ohm, 0.5ohm and 1.0ohm. Screw off the bottom base. Screw off the old coil unit from the bottom base, put a new coil unit on it. It’s for Vision Vapros KinTa atomizer.